We were thrilled to have J. Kenji Lopez-Alt, Managing Culinary Director of Series Eats and author of The Food Lab present at this year's Tested live show about the science of making sausage! Kenji, who's opening a sausage restaurant this year, demonstrates why you just can't make low-sodium bratwursts. Kishore and Norm test the Cinder, a counter-top grill that's quite a bit more advanced than the ones we had in our dorm rooms. Cinder's ability to precisely cook at specific temperatures makes it like sous vide, but without the water bath. Let's go for a taste test with some pork chops! We test the ChefSteps Joule Immersion Circulator and discuss the state of home sous vide devices. Here's where the Joule sits alongside devices like the Anova and Sansaire, and why its intuitive app gives it a leg up for executing great recipes. Cooking the Impossible Burger with Traci Des Jardins! 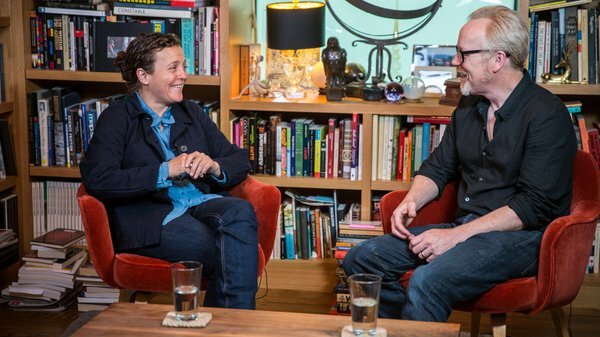 Adam Savage visits chef Traci Des Jardins at her restaurant Jardinière to learn how the Impossible Burger is cooked. Traci walks us through the making of this veggie burger that looks, tastes, and feels like real meat, discussing the culinary science of how it cooks on the grill. Plus, a taste test! We check out the Picobrew system, a home beer brewing machine that lets you make 5 liter batches of beer in your own kitchen with an automated brewing system. We chat with Picobrew's co-founder about the process of home brewing and how users can make their own beer recipes. Tested: The Best Ways to Sear a Steak! Summer is here, and it's time for some food science! We team up with Serious Eats' Managing Culinary Director J. Kenji López-Alt (and the author of James Beard Award-winning cookbook The Food Lab: Better Home Cooking Through Science) to test for an ideal way to sear a steak. Adam and Kenji discuss some misconceptions about steak searing, and test four searing methods at different temperatures. If you don't know Adam Savage's good friend Chef Traci Des Jardins from her appearances on Top Chef, Iron Chef and Knife Fight, you may know the James Beard Award-winning chef from her several videos on Tested, including Cooking the Perfect Omelette, Improving a Cat Exercise Wheel and Making a Space Burrito (With Chris Hadfield). This friend of Adam's and Tested's was a natural choice, then, for The Talking Room -- but perhaps what's most unexpected was how much Adam himself learned from his and Traci's ensuing conversation. In case you missed the full video, we've summed it up for you. Here are our favorite things that emerged from Adam's Talking Room interview with Traci Des Jardins. Traci grew up eating "strange things," like blackbirds and squirrels. Traci grew up in a family of hunters, where the rule was you had to eat whatever you killed. It meant that "hunting accidents ended up sometimes with an interesting culinary fodder," such as blackbirds and squirrels. If you wouldn't kill it, you should reconsider eating it. Traci first went to a slaughterhouse when she was just 9 years old. Likewise, she always wanted her son, now a teenager, to understand that beef comes from a cow. ChefSteps, whose kitchen labs we visited earlier this year, sends word that they've just announced a new immersion circulator for sous vide cooking. They're calling it the world's smallest and most powerful sous vide tool, weighing just over a pound and outputting 1100 watts of heating. It's also completely waterproof and runs via a companion app. ChefSteps' Joule will begin shipping next May and has a retail price of $300. They're taking pre-orders now $100 off until January 15th. We're definitely going to test this! For this week's Show and Tell, Will shares his findings from testing the new Zojirushi 16 ounce insulated bottle. The Zojirushi mugs are our favorite insulated bottles for coffee and tea, and this new model is has a smaller neck and Teflon coating. But as with previous Zojirushis we've tested, it'll keep your coffee hot for hours! Time to open another mailbag from one of our lovely readers! This massive box mysteriously arrived at our door, and we're delighted by the delectables within. These snacks have to be taste tested--even the mystery soda. Thanks, Bruno! From filmmaker David Friedman: "Alan Adler, inventor of the Aerobie Flying Disc and the AeroPress coffee maker, tells the stories behind his famous inventions." We're fans of the AeroPress, and have enjoyed previous stories about its invention. Plus, surprise vintage Tested video appearance! 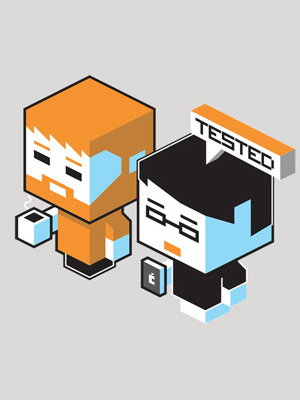 Will and Norm tear into this package from a Tested reader, sent all the way from Belgium! Its contents are right up our alley--beer! Not just any ordinary beer, but a rare bottle of Westvleteren 12, considered by some to be the best beer in the world. The story of how one acquires this beer is interesting as well. Thanks so much to Peter for sending this mailbag! This post was done in partnership with The Sweethome, a list of the best gear for your home. Read the full article here. 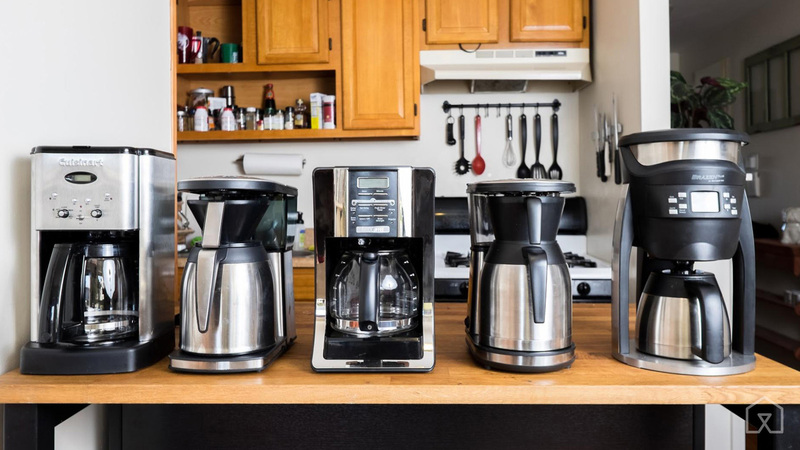 After two months spent surveying readers; interviewing coffee experts; researching makes, models, and reviews; and testing five finalist machines with a 10-person tasting panel, we recommend the $190 Bonavita 1900TS. It's the best coffeemaker for most people who love good coffee but don't have the time or patience for pour-over. The 1900TS brewed the most consistently delicious coffee among all of the machines we tested. That's thanks to a smart internal design: a wider showerhead, a flat-bottomed filter (the normal, wavy kind), and a built-in pre-infusion timer. To get to these picks, we talked to coffee experts of various backgrounds from different parts of the industry: Humberto Ricardo, the owner of the renowned Manhattan coffee shop Third Rail Coffee; barista Carlos Morales, who just won third place in the Northeast Brewers Cup Championship; and Mark Hellweg, who founded and runs the speciality coffee accessory company Clive Coffee, which recently developed and released a high-end coffee machine of their own design. We also chatted with pretty much every barista we encountered at shops to get their perspectives. This post was done in partnership with The Sweethome, a list of the best gear for your home. Read the full article at TheSweethome.com. 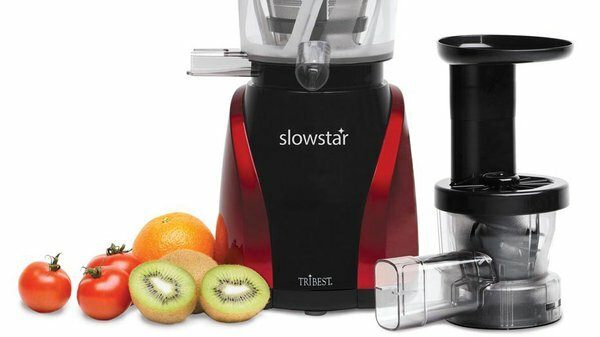 After pushing almost 25 pounds of leafy, crunchy, pulpy produce through nine top machines, we think the Tribest Slowstar ($380) is the best and most versatile juicer for the home. Its single vertical auger turns at a slow 47 rpm, making it one of the slowest juicers available—key for getting maximum nutrients and enzymes from produce—and it still yielded more juice than nearly every other model we tested, meaning there's less going to waste. It comes with a 10-year warranty on parts and the motor, so you can crank it up every day without worry about wear and tear. We put 10 juicers through two tests. We noted ease of use, yield, foam production, flavor, ease of cleaning, and amount of prep required. First, we tested their abilities with greens and soft fruit by making a kale-grape juice with 8 ounces each of curly kale and Thompson green grapes. We then tested each juicer for their ability to juice hard fruits and vegetables, using 8 ounces each of carrots and apples, 4 ounces of celery, and 1 ounce of ginger. All yields were measured by weight. For more detail on our research and testing methodology, check out our full guide at The Sweethome. For our final video from this year's SCAA coffee convention, Will checks in with Alpha Dominche, makers of The Steampunk craft brewing machine. This coffee and tea brewing machine is configured using an app for use with different recipes to manipulate how your coffee tastes. At this year's SCAA 2015 convention, Will checks out the La Marzocco Linea Mini home espresso machine. It's a kitchen-sized machine that brews and steams professional-grade espresso coffee. We learn about the equipment and process that differentiates this kind of machine from one you would maybe find in a department store. Today, we learn about science food from Grant Crilly from ChefSteps! Grant shows Will how to make an aerated sorbet using a whipping siphon and liquid nitrogen that delivers a ton of flavor and then disappears from your mouth. We're back at ChefSteps! Today, Grant Crilly shows Will how to make Apartment Ribs. What are apartment ribs? They're ribs that have the rich, smoky flavor you expect from cooking meat over fire, without the smoke or fire. The trick, it turns out, is in the vegetables. How To Cook Vegetables Perfectly with a Microwave! Tested Tours the ChefSteps Kitchen Laboratory! While in Seattle, Will visits the ChefSteps kitchen laboratories and workshop. ChefSteps is an online resource where chefs, filmmakers, and engineers demonstrate the hows and whys of modern cooking. They were the team behind the science in Modernist Cuisine, and are using those same technologies and testing procedures to teach curious cooks.